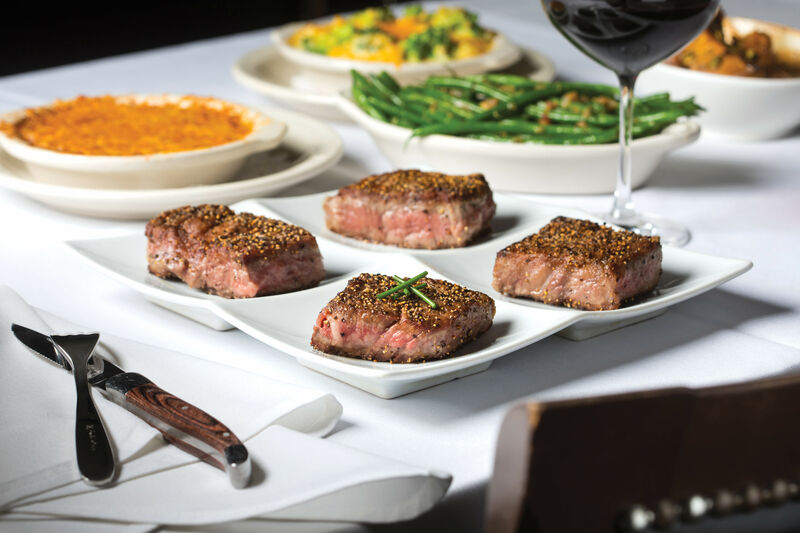 The strip flight at Killen's Steakhouse: a must for the strip connoisseur. 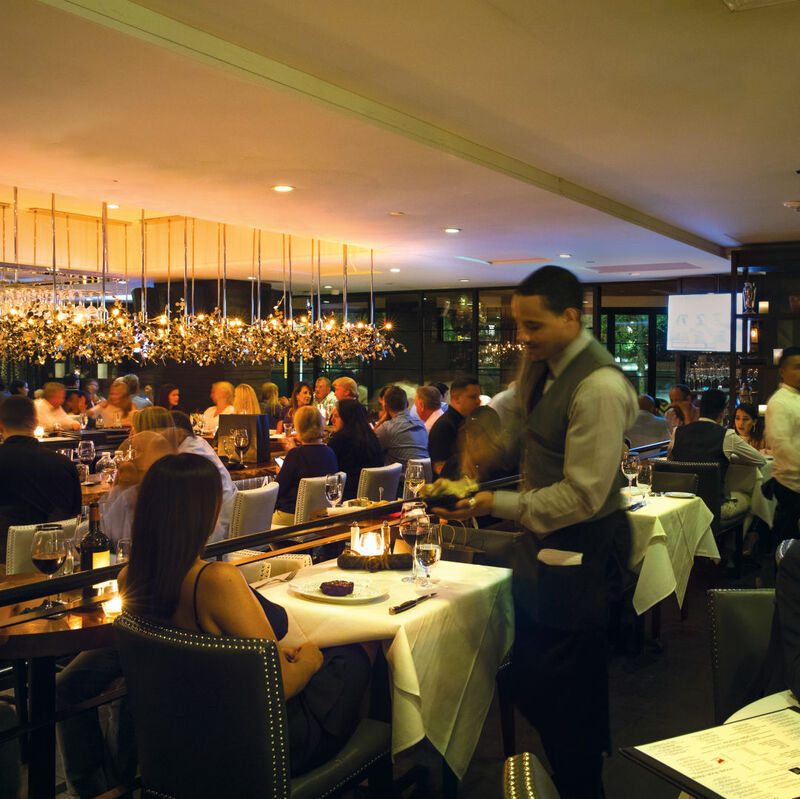 To make our final selection of the 10 best steakhouses in Houston, we looked at menu breadth; steak sourcing and aging; available cuts and cooking methods; and, finally, service, sides, and wine lists. Some call it rustic; others call it kitschy. Either way, the decor, which plays up the Texan theme with animal trophies, guns, and artifacts collected by owner Nina Hendee, is part of the allure at this newly remodeled, family-friendly institution, which, despite its no-reservations policy, draws massive crowds willing to wait over an hour for a meal. The reason? 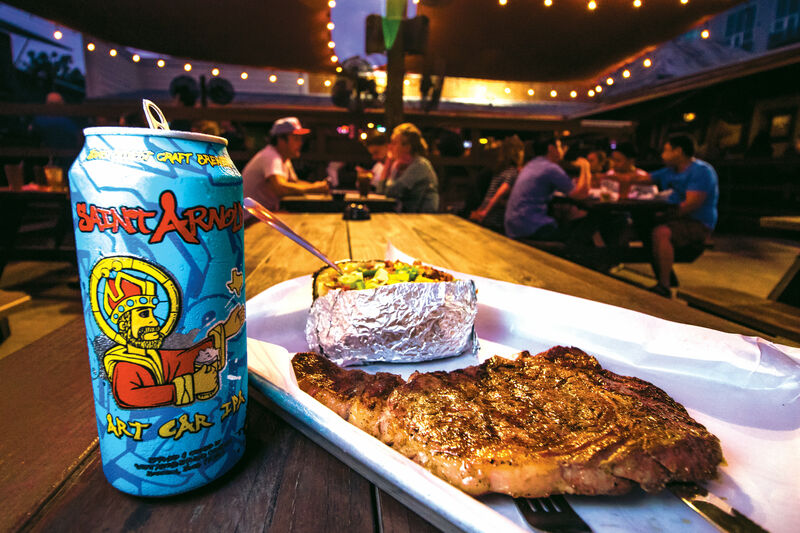 Classic Certified Angus steaks (served on sizzling cow-shaped platters upon request), an expansive salad bar, and servers happy to help diners commemorate the evening with a photo-op—red bandannas, cowboy hats, and all. No expense was spared in the design of this glitzy, glamorous, 13,700-square-foot stunner teeming with fast cars and pretty people, which opened in 2016. From the moment you arrive, you’re in for an experience. 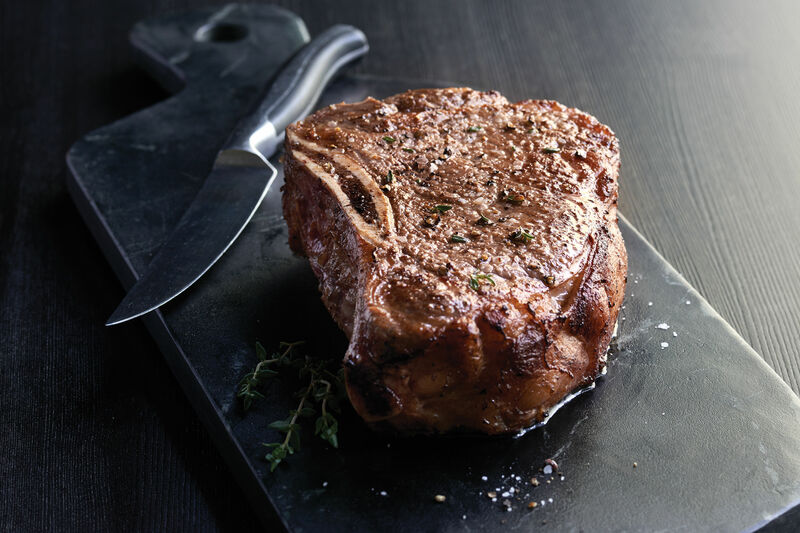 Phenomenal king crab, jumbo shrimp, and shellfish platters are plated to impress, while hand-cut USDA Prime wet-aged steaks more than satisfy the meat-hungry, as do other entrées, including the slow-cooked short ribs. For the full see-and-be-seen experience, request a table overlooking the buzzy downstairs bar area. The picanha, or sirloin cap, is Chama Gaucha's star cut. Service can be a little over-eager at this Brazilian all-you-can-eat rodízio, but no one ever leaves unsatisfied. 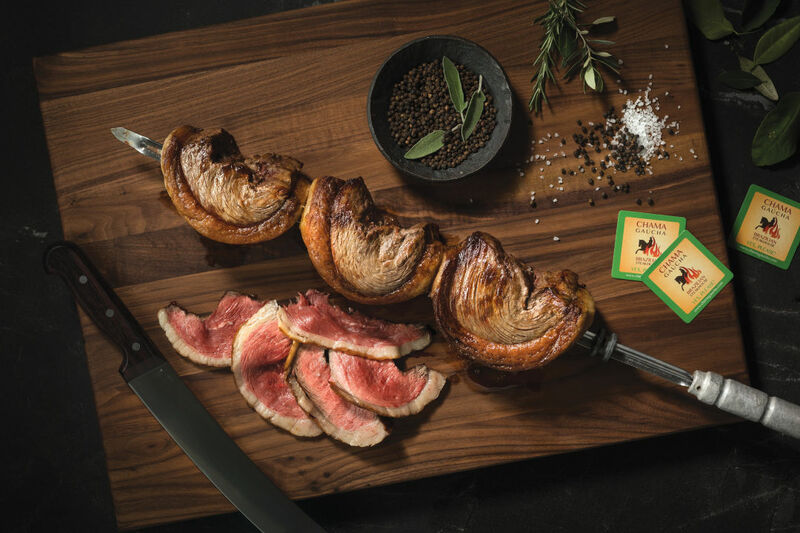 From the minute you sit down and turn your service button from red to green, the parade of meat begins: 12 cuts total, all cooked over a charcoal grill, ranging from the signature picanha (a prime sirloin cut), to the cordeiro (rack of lamb), to the incredibly tender costela de boi (beef ribs). Leave room for a trip to the enormous fresh salad bar, plus sides of black beans, rice, mashed potatoes, caramelized bananas, and the highly addictive Brazilian cheese bread called pão de queijo. The buzzy bar at B&B Butchers. Care to splurge? The wine list includes a $12,000 bottle of Premier Cru. When this place opened in 2015, it was the ambitious new guy with the audacity to take on Houston’s long-established big guns. Today it’s hard to have a conversation about steak in this city without acknowledging what B&B has become: a Houston steakhouse experience par excellence. 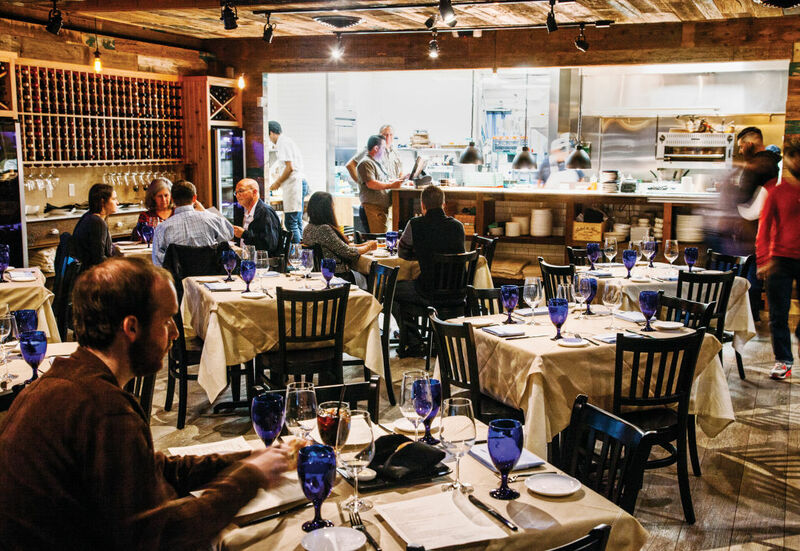 Owner Benjamin Berg took all the elements that make an extraordinary steakhouse and merged them under one roof. Butchering and dry-aging are done on site. 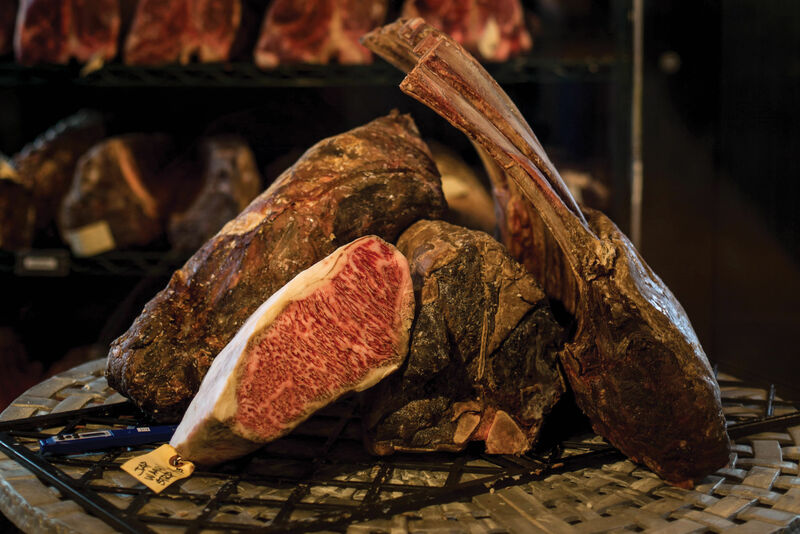 Menu options abound, ranging from classics like center-cut filets, to 55-day dry-aged Prime ribeyes, to the king of all meats, the certified Kobe beef from Japan. 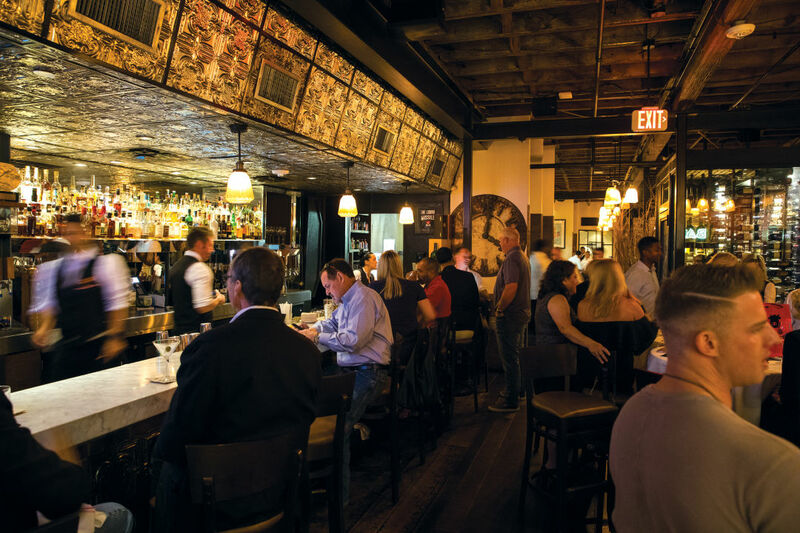 Add in a lively bar, an on-site sommelier, and old-school service, and you’ve got it all. 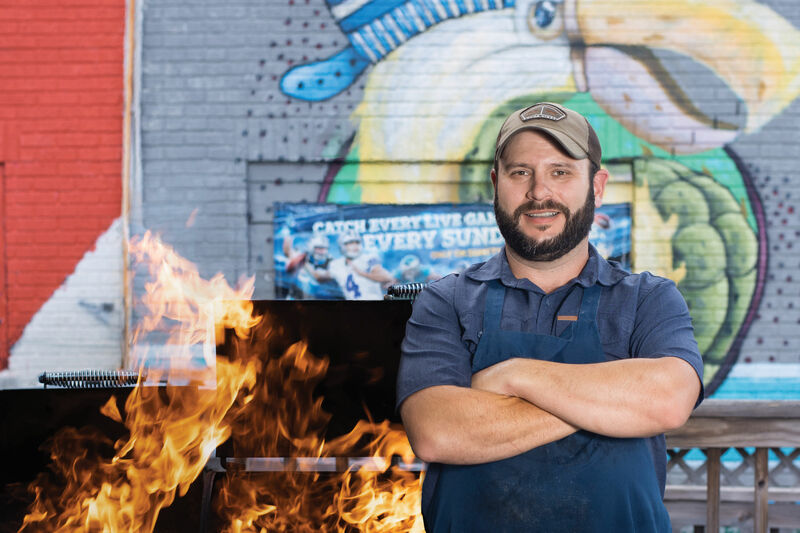 Offering just 60 seats in a rustic, cabin-like setting, chef/restaurateur Ronnie Killen’s first restaurant within Houston’s city limits represents a tour de force in meat mastery. Quintessentially Texan in spirit, featuring interesting dishes such as beef-short-rib tamales, charred corn bisque with summer succotash, and pecan-smoked pork belly with cherry-habanero barbecue sauce, the menu combines classic flavors of smoke and char with modern twists like dry-aging and wagyu. Daily specials by executive chef Teddy Lopez—think 20-day dry-aged port-coffee-glazed brisket served with parmesan gnocchi—are always interesting. Save room for the bacon tres leches bread pudding or smoked chocolate cake. 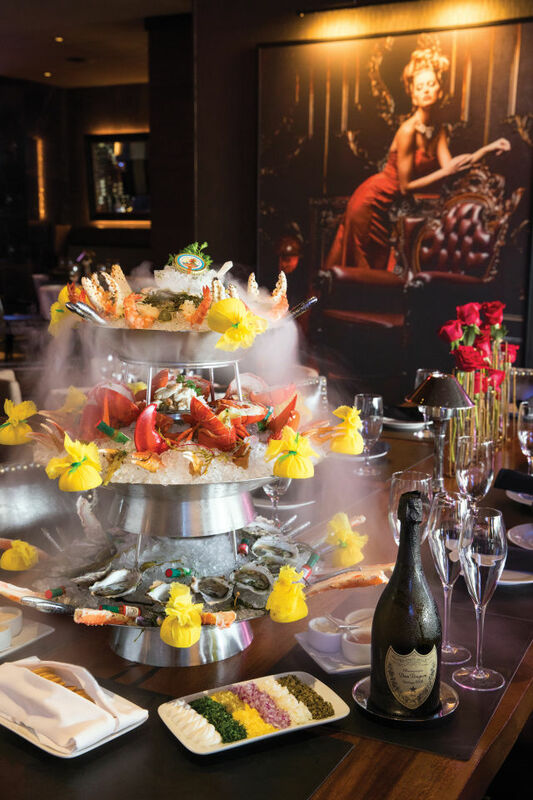 Start your Mastro's experience with the stunning iced seafood tower. Debuting at the end of last year alongside owner Tilman Fertitta’s opulent Post Oak Hotel right next to his Bentley, Rolls Royce, and Bugatti dealerships, this is where the A-listers play. Spend lavishly, and you will be rewarded. 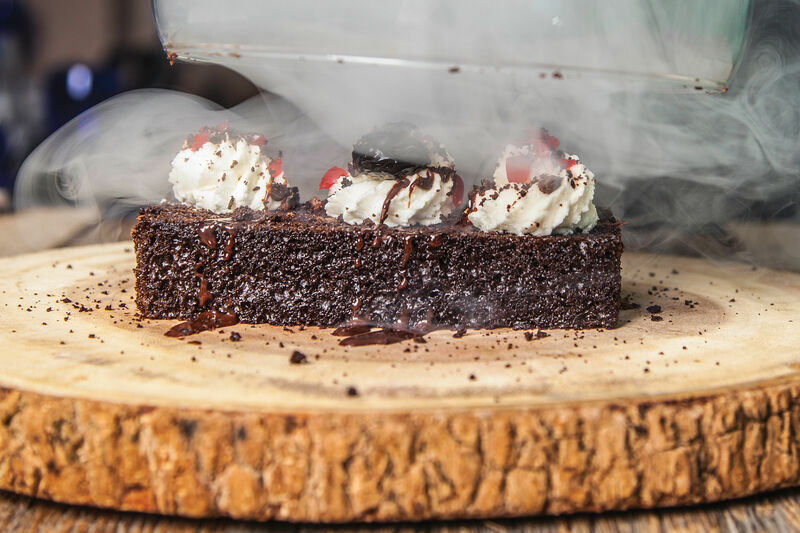 Hot-ticket items include the seafood platter that arrives in a wow-inducing cloud of smoky liquid nitrogen, the decadent A5 wagyu cooked on a hot rock, and any of the 16 cuts of USDA Prime steaks. 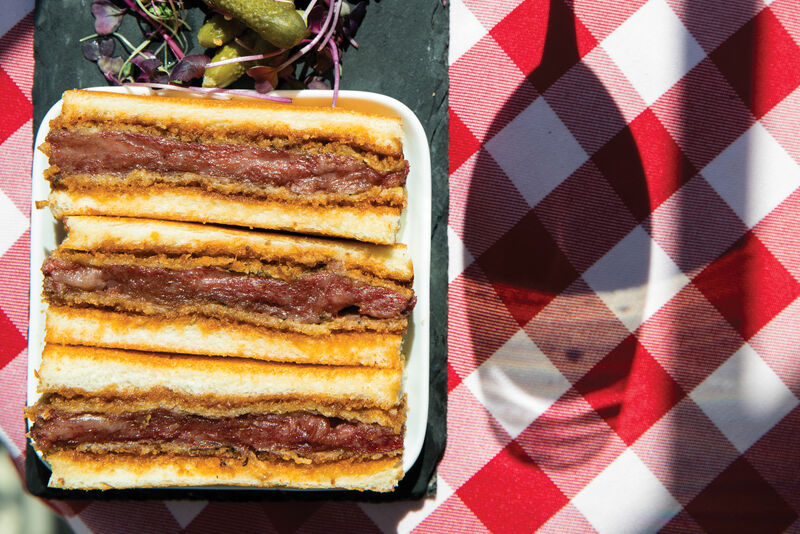 Come for the food, stay for the Instagram-worthy outdoor patio and fountain wall, the 20,000-bottle wine list overseen by master sommelier Keith Goldston, and the chain’s first dedicated whiskey bar. You won’t find Caesar salad, mac 'n' cheese, or potatoes au gratin at this Israeli concept. Instead, starters like a vibrant tomato salad prepared four ways and Mediterranean octopus whet your appetite for what’s to come: 21- or 31-day house-dry-aged USDA Prime cuts, cooked sous vide for several hours, then grilled to succulent, flavorful perfection. Order four or more steaks, and they’ll be delivered in dramatic fashion, on a flaming butcher’s board. This is, without question, one helluva steakhouse, a swanky meat mecca that consistently delivers one of the best experiences you’ll have anywhere. USDA Prime steaks are dry-aged for 28 days, seared on the grill for a crisp, brown crust, and basted in butter just before serving—perfection. The exceptional, award-winning wine program now features two master sommeliers, Jack Mason and Steven McDonald, overseeing a combined inventory of more than 4,000 labels and 65,000 bottles from every wine-producing region in the world. 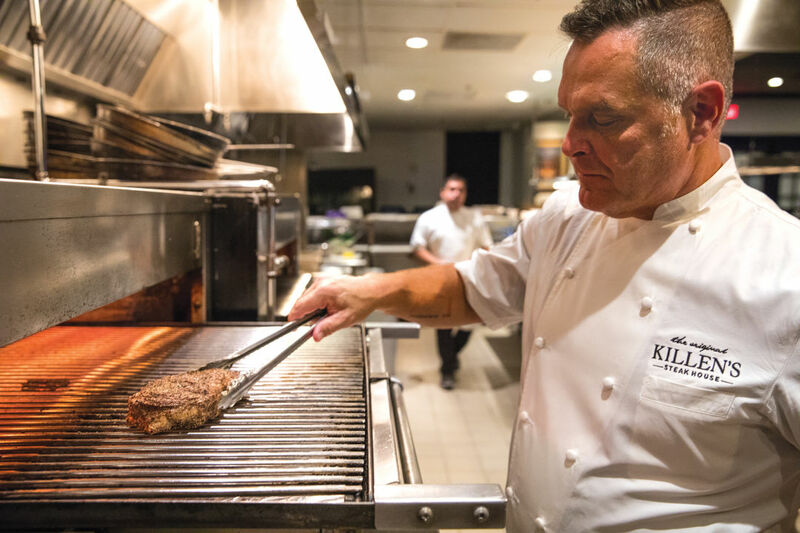 Making its debut in 2006 and getting a revamp in 2015, chef Ronnie Killen’s flagship steakhouse is built on two and a half acres, with a huge main dining area, a private banquet room, a bar, a dry-aging room, an open kitchen, a patio, and a wine room for storing some 700 labels. If version 2.0 isn’t quite as cozy as the original, it still delivers on juicy steaks with a pleasingly crusty, cast-iron sear. Choose from boneless wet-aged and dry-aged ribeyes, filets, and New York strips, or splurge on higher-end domestic wagyu and Japanese A5 wagyu from Kagoshima, Japan. Creative, scratch-made starters and sides—especially the jumbo lump crab cake and the famous creamed corn—are big hits, as is the warm carrot cake. There are Perry’s locations all over Houston, all of them very good, but none shines quite as brightly as the Memorial flagship. Now one of the most stylish steakhouses in the city thanks to extensive post-Harvey renovations, the place offers old-school service—think chateaubriand, or Perry’s Famous Pork Chop, served tableside—along with wet-aged USDA Prime cuts cooked to a beautiful sear. Portions are huge here, and pricing is competitive.